First of all - HAPPY HAPPY BIRTHDAY SHERRIE!!! We are April Birthday Sisters as you well know, my birthday is just next week - I love knowing other crafters who have the same birthday month! It's so FUN! :) Now... your cards are AMAZING! They are sooo pretty & elegant... I just love them! I hope you have big plans for your special day! HUGS! Your card is cute, and thanks for a chance at some candy too. Hope you have a wonderful birthday, my crafty friend!! That's a wonderful giveaway, you are as generous as you are talented!! Have a great week!! 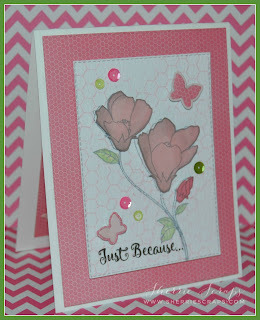 Pretty card... love the colors! I hope your birthday is extra special! Thanks so much for the chance to win a great prize package! I am already a follower here! Happy Birthday my sweet friend! I hope you are enjoying your special day and hope all of your wishes come true! You are so sweet to be gifting instead of receiving on your birthday and an amazing giveaway at that! 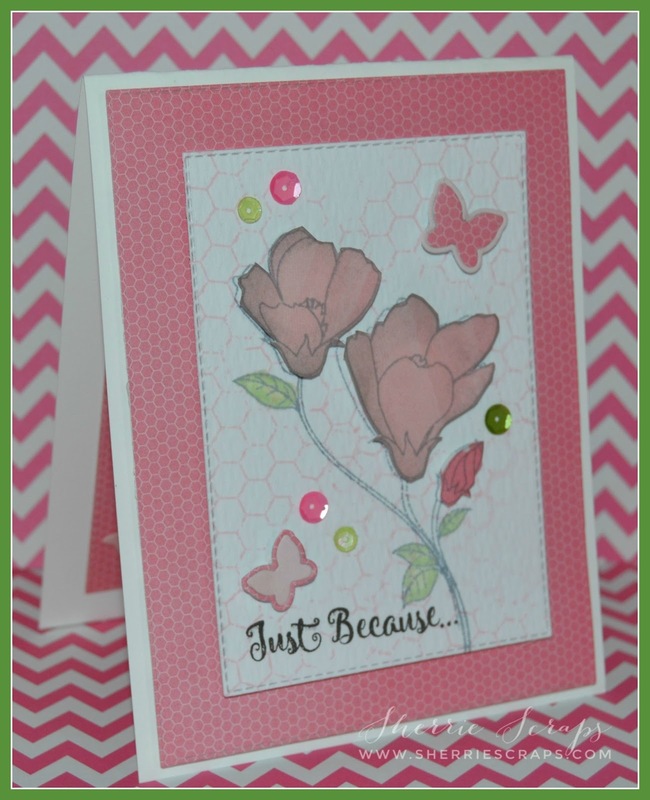 I love the gorgeous cards that you created, the pinks are so pretty and classy! The butterflies are so cute and I love the sequin accents, awesome job on these! Have a wonderful birthday evening! First of all, happy, happy birthday my sweet friend!! I hope your day has been filled with so much love and happiness and yay, sunshine!! Your cards are absolutely stunning!! I love the beautiful flowers and the butterflies!! The sequins are such a fabulous touch!! It's elegant and gorgeous!! Thank you for playing along at DL.ART!! Beautiful!!!! LOVE both cards!!! Sending Birthday wishes your way! Happy happy happy happy birthday!!!!!!!!!! I love love love love your cards! GORGEOUS!!!!!!!!! Happy Birthday - hope your day was awesome..... Great job on your set of cards.... Ooh I see Sweet Tooth - hummm I don't have that cartridge...LOL! Happy birthday Sherrie! I love your cards! Thank you for giving us a chance to win this wonderful giveaway!! 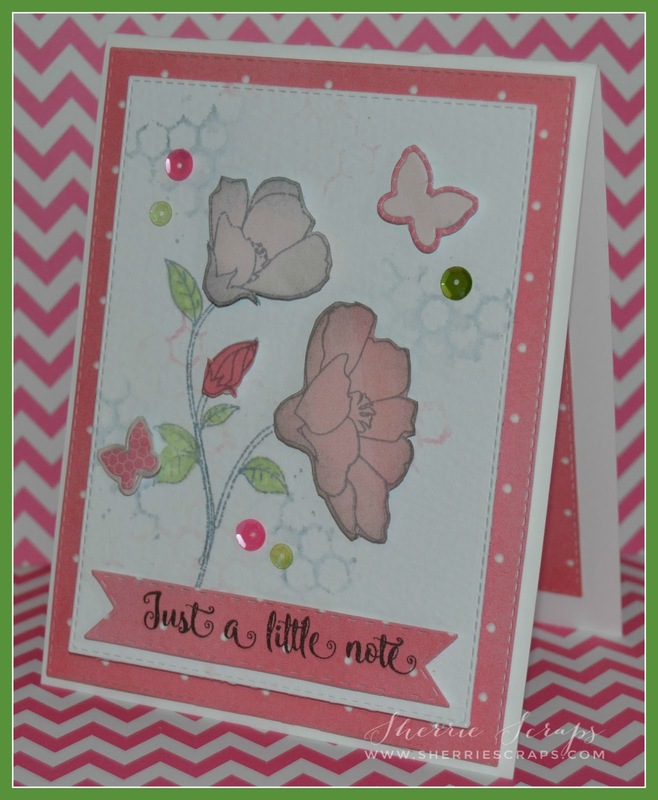 I just love your soft, sweet floral cards. The flowers are just beautiful and the sequins are a great touch! 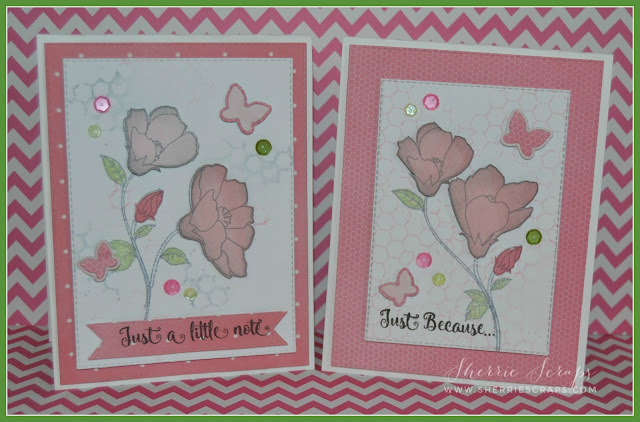 Such gorgeous cards you created!! LOVE the colors and FABULOUS card LO's!!!!! Happy Birthday Sherrie!! I hope you have a day filled with love and laughter! I love your two beautiful cards! Those flowers are so pretty! Thanks for playing along with us at DL.ART April Linky! Both of your cards are beautiful! Pink is my favourite color! The flower stamps are gorgeous! Happy Birthday to you! Thank you for a chance to win your candy! I have been following you for a long time (Fit Kitty). I am on a blog break now. All my crafts are packed up. We had to move out of our house for major repairs (insurance claim). We've been waiting over a year and happy that they are finally being done. However, I'm not having a good time in the vacant house where we're staying - feeling very displaced and wishing to be home again. Luckily the library is not far from where we're staying so I can read emails. Your candy looks delicious and I would really be excited to win - could really use some good news right now! My email is fitkitty1@gmail.com. 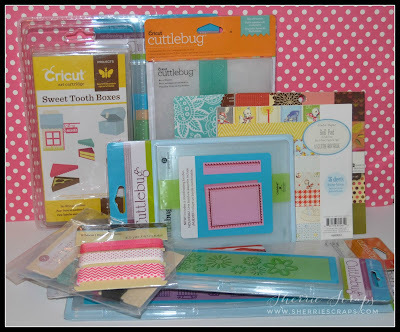 Hope your birthday is a lot of fun and that you get spoiled with lots of new crafty goodies! I liked your FB page also! Happy Sparkly Birthday, my dear friend! I'm so thankful you had a beautiful day... you deserve everything beautiful and every week happiness. :o) Your cards are gorgeous, Sherrie! The layered flowers are so pretty and I love et background. The sentiments are such a whimsical font, which I absolutely adore. These will indeed brighten the days of the recipients.. stunning work! Your card is gorgeous!! I need to get more flower stamps. Flowers seem to be the "in" thing right now! I sent you Birthday wishes on FB already but just incase..Happy Birthday Sherrie!! I hope that you enjoyed your special day with your family and friends. 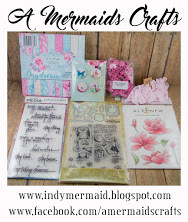 It's your birthday and you are having a birthday giveaway for your bloggy friends!! Bless your heart my friend!! P.S. Your cards are simply beautiful!! Love the pretty color palette! Happy Birthday! Wishing you a wonderful day!! How sweet to share with your followers! 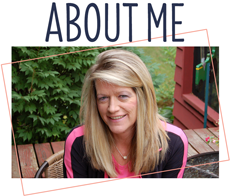 I follow by email and on fb! Beautiful!! And Happy Birthday! Love the papers you chose; so pretty! Thanks for playing with Jo's Scrap Shack. Happy Birthday to you!!!! Your cards are so beautiful my friend! It's a nice change to see the florals....you did a fantastic job with these and love your background too....so pretty... love the butterflies and sequins... :) And thanks for playing along this week in our Funday Friday challenge! Happy birthday Sherrie! 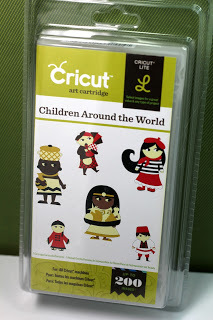 I love your fussy cut and pretty layering on these cards. I was coming over to see what you've been up to and follow anyway, so glad to see the bday loot to boot! ;0 Thanks so much for the chance and have a knock out blow out good time today!!! WOO HOO! Oh Sherrie, so sorry I missed your birthday!! I hope you had a wonderful day. Love your beautiful cards. I really like your stamped backgrounds. So very pretty Sherrie! Love the beautiful flowers and butterflies! Love the cards. The papers and flowers are perfect. 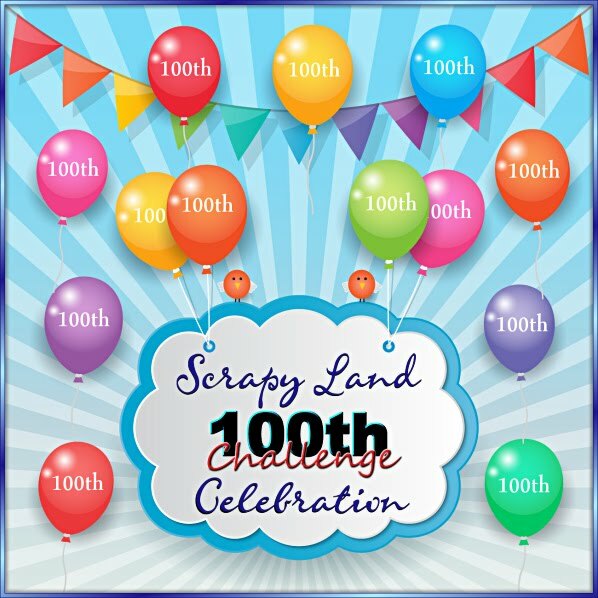 Thanks for joining Funday Friday Challenges over at Jo's Scrap Shack and Happy Birthday Sorry its late. Happy Birthday Sherrie! I hope your day was wonderful and all your wishes come true! Love your cards, the flowers are so pretty! Happy Birthday. I know I'm late here but I did acknowledge it in FB. Hope it was a great one. Love the cards they are stunning. The soft colors make for such a elegant feel. I" sure you friends will love them. Hello my friend! I guess I missed this one... I was on vacation but I hope you got my wishes through Facebook. Gorgeous card and you are just such a sweet and generous person!